Keep it simple. When the essential items are pared down to a minimum, you can forget the idea of a bag. 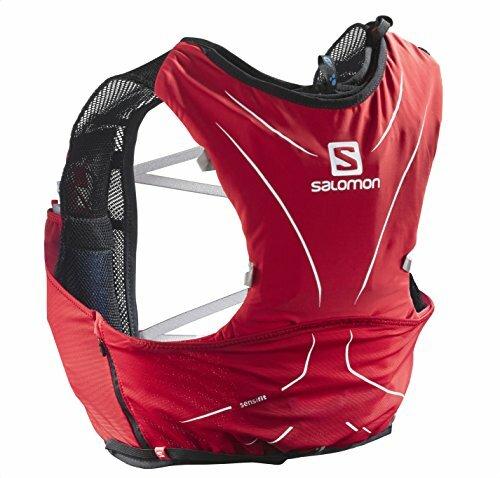 With the Advanced Skin 5, wrap your extra gear around you, front and back, and whip it out while you're moving. Let your body move and breathe unhindered, so your mind's free to focus on the game. . It hugs in the right places and keeps your gear tight and close, thanks to the Sensi load lifter. You're free to fly. The right fabric in the right places - it dries quickly and keeps your body breathing. All potential chafing zones have been revisited and made smooth. Your ideal game partner. Essential hydration is easily accessible at the front. Distribute the weight, choose your own perfect formula, the right place for each item. Just stuff, stow, grab and keep moving.